How Do Push Notifications Work with VoIP? Push notification is a message sent to the user of an Apple iOS device, such as an iPhone, iPad, or iPod, from one of its installed apps running in the background. VoIP apps such as Skype need to run in the background and be able to send notifications to the user in order to alert them of incoming calls and messages. If the app is not running in the background, calls will be declined and the communication will fail. When apps run in the background on a device, they consume processing power and energy from the battery. With a VoIP app, this could be a significant drain on a device, as the app would need to constantly listen to its network for new events, like incoming calls. Push notifications help reduce this drain by shifting the continuous listening function from the smartphone to the server side of the network. This allows the app on the device to run with a minimum of required resources. When a call or message arrives, the server on the VoIP side of the service (which has been doing all of the active listening for network activity) sends a notification to the user's device. The user can then activate the app to accept the call or message. A message box (Alert) containing a text message, like “Mom Calling,” with buttons to accept or reject. An audible alert, such as the sound of a phone ringing. A simple message that appears with the app's icon, or badge, and an indication of the type of event being announced, such as an arriving text message. iOS allows you to combine these and choose whichever you want. For example, you can choose to have a sound played along with the message. You can configure notifications on your iPhone, iPad, or iPod. You will see a list of apps that can send notifications. Beneath the name of the app, you will see whether notifications are off, or if they're on what type of notifications the app will send, such as Badges, Sounds, Banners, or Alerts. Tap the app you want to change to bring up its notifications menu. Here you can toggle whether you want notifications turned on or off. If they are on, you may also configure the types of alerts the app may send you. There can be problems associated with push notifications. For example, there can be issues with the trigger for the notification reaching the device from the server when it is sent. This could be caused by network issues, whether on a carrier's cellular network or a problem on the internet. This could result in a delayed arrival of a notification, or the notification never arriving. It is therefore subject to the unpredictable nature of the internet, and also faces possible restrictions over private networks. 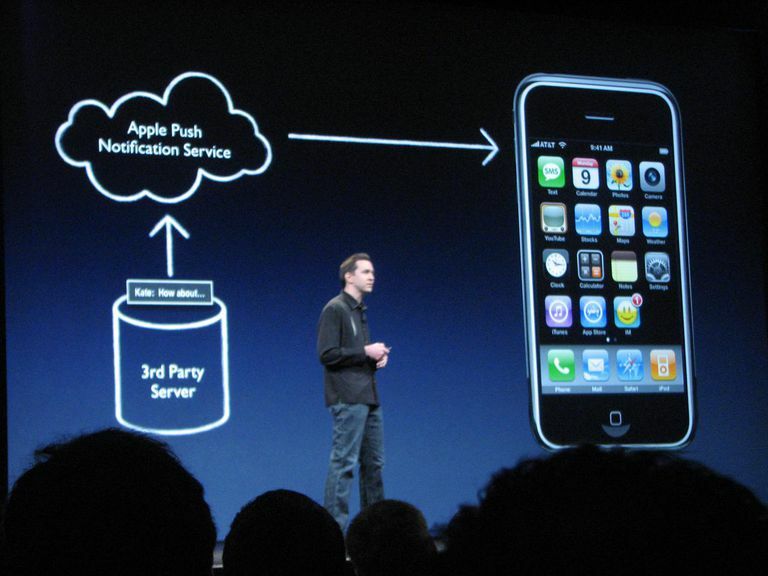 Server-side issues may also interfere with reliable push notifications. If there is a problem with the VoIP server that sends out alerts, that could prevent you from receiving messages or calls. Likewise, if the server is overloaded with alerts, such as during an emergency when everyone is attempting to make calls, this could prevent a notification from being sent out. Also, notifications are dependent on the app working properly. This can vary from app to app and depends on the quality of the app's creator and the infrastructure that supports it. A VoIP app may not even support push notifications. Overall, however, push notifications are generally reliable, and it's a handy feature for VoIP apps to support.